I don't even know where to begin with this one, this is one topic I could debate for hours. As a mother myself bullying is something that is scaring me really. You always worry that this is something that could happen to your own child. Now this is the story of Laura and her daughter Autumn who, after a divorce, move to Bristol and Autumn has to start a new school. The girl is brave enough to tell her mother about being bullied at her new school by an older boy. From then on things start going very bad for both mother and daughter. When the mother confronts the teacher, she doesn't seem to believe her and it seems nobody is taking her serious at all. The bullying gets worse and when the mother confronts the bully she makes a unforgivable mistake. Suddenly its not just the child that is being bullied and things really turn nasty for both of them. I have so much to say on this subject but I am going to keep it short. I feel that after all this time people still don't know how to deal with bulling at all. Most people are still completely blind to it. Which is scary, because this is such a serious matter and has cost people their life. I can only hope that things are eventually going to get better. To get back to the book tho, this has painted a truly scary and eye opening picture on the subject. Its a great thriller that flows nice and easy. I felt for both, the mother and the daughter and I really wanted to shake some of the characters. It was a true page turner with a rather surprising end. I had a little bit of a love and hate relationship with the mother tho. However that didn't stop me from enjoying this read. What I really enjoyed was the fact that we got to see this from both the mothers and the daughters perspective. Letting us see how frustrating it is for the mother who only wants to protect her daughter, but cant seem to find any help anywhere. But also to see how devastating, scary and heartbreaking this is for a child. A child that doesn't only have to deal with one bully but having that person turn others against you, leaving you lonely and hurt. Also how much all this affects your relationship and others around you too. There is one negative tho, which has slightly annoyed me to be honest. This book makes it sound as if the only good schools in this country are private schools. Which I don't think is right at all. I believe bullying can happen anywhere, weather its public school in a council estate or a fancy expensive private school. Thank you to Corvus for my copy of this book in exchange for an honest review. 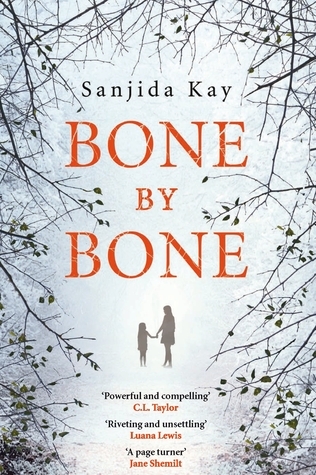 Bone by Bone is out TODAY! !